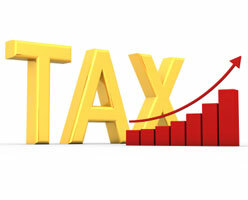 20 states see federal tax rate increase this year. The unemployment insurance benefits states have been providing to workers during the recession are likely to haunt businesses in the form of higher unemployment insurance taxes for years to come. Such taxes have already begun to rise and are projected to rise again this year, although some states have taken steps to mitigate the increases.